The traditional wedding cake is becoming more and more the tradition of yesteryear. Nowadays, many brides are looking for fun and tasty alternatives to enjoy with their wedding guests. 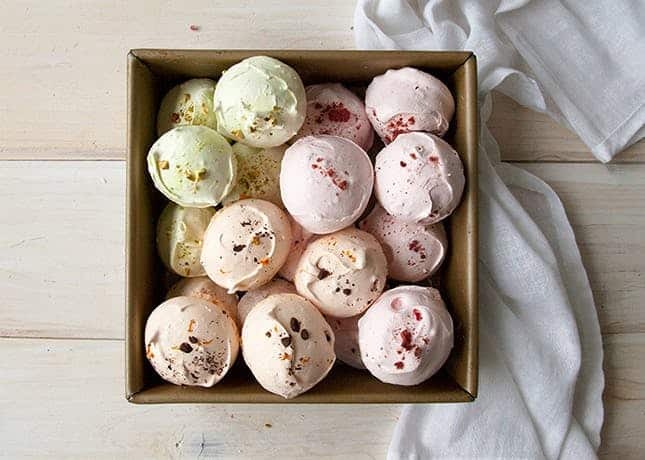 If you are planning on having a DIY wedding, making your own desserts is a great way to get creative and cut down on costs. Here are 8 simple wedding desserts you can make yourself. 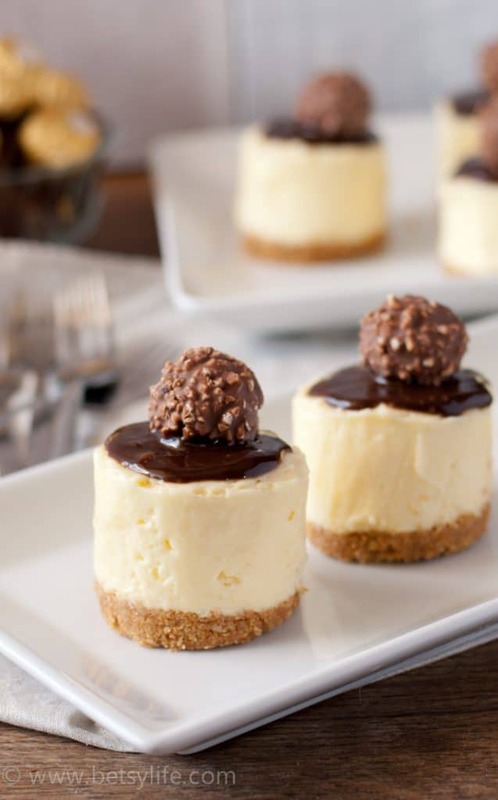 These easy to make cheesecakes are the perfect size for your guests to grab and enjoy. Just make sure you make a big batch, because it won’t take long for these to disappear. That’s right! 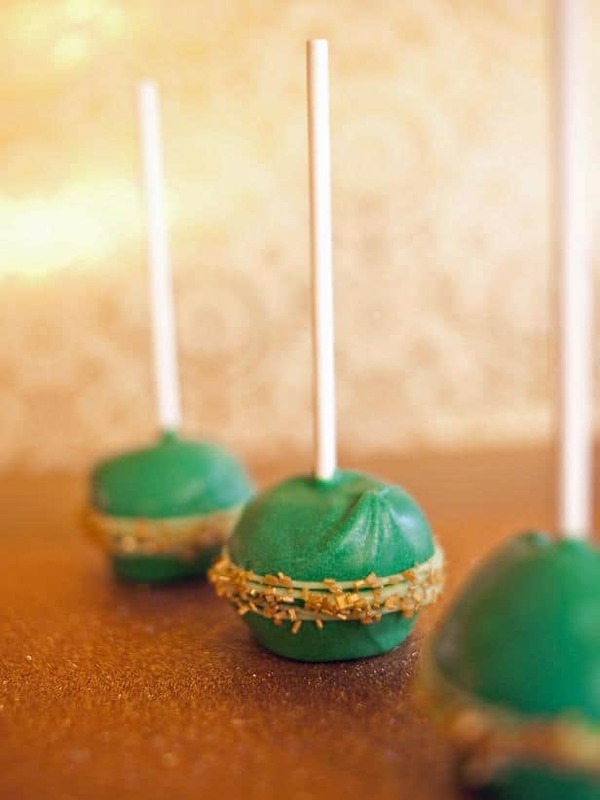 The secret ingredient in these gourmet cake pops is Stout. These tasty bite size cakes are sure to be a hit at your reception. 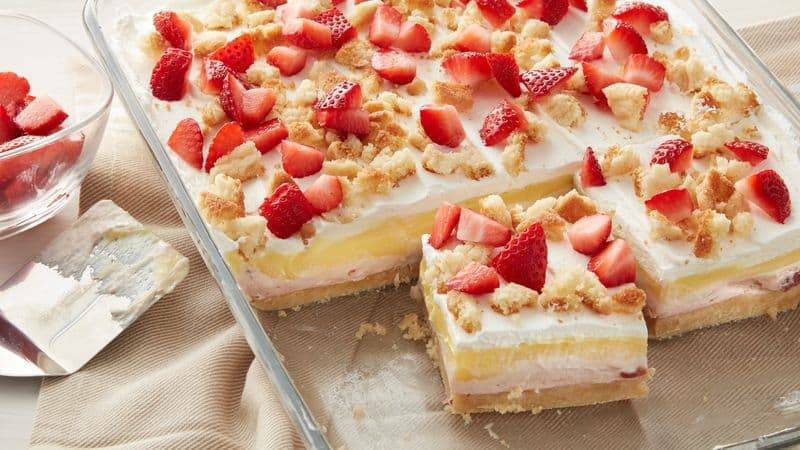 This scrumptious spin on strawberry shortcake would work really well at a summer picnic-style wedding reception. Either follow the recipe to make several 9 x 13 inch pans or experiment with shortbread cookies as the base for personal sized lush cakes. 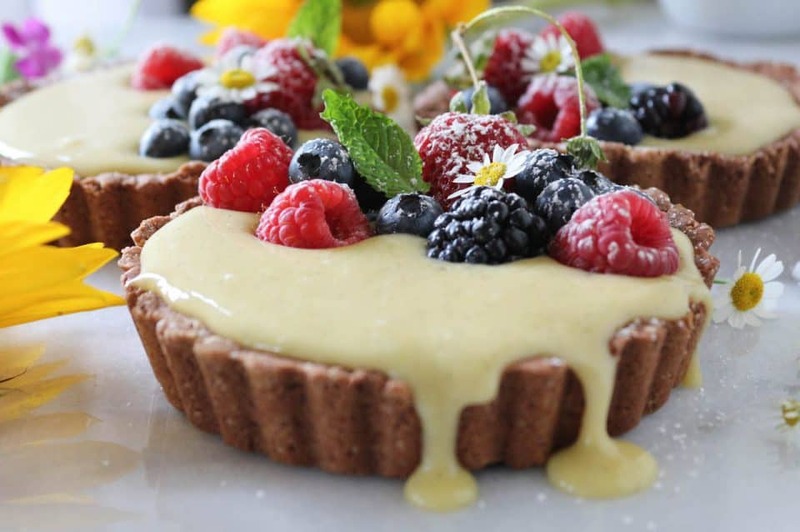 If you have any guests coming with special diet restrictions, these cute little cream tarts may be a perfect dessert to make available to them. Even your guests without diet restrictions will love these colorful treats! Talk about beautiful and delicious! 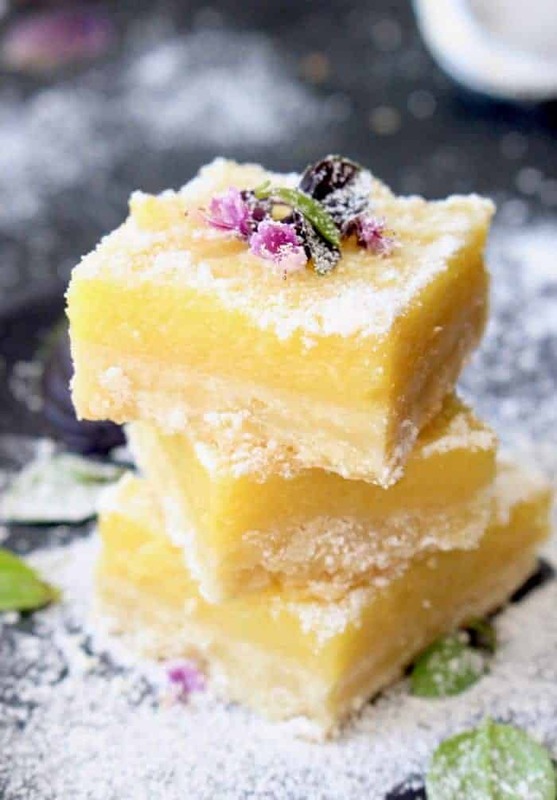 These lemon bars won’t last long if you make them a dessert option at your reception. With crispy outsides and soft insides, these meringues are to die for! Use the base recipe and add your own favorite toppings, flavors, and colors to make a cute display of colorful meringues at your reception. 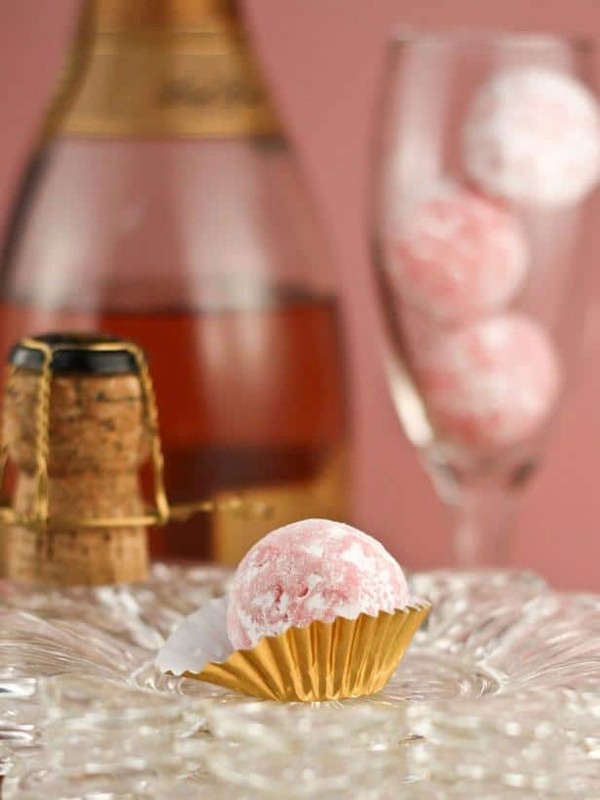 Not only are these truffles delicious, but they would look absolutely stunning at an elegant reception. 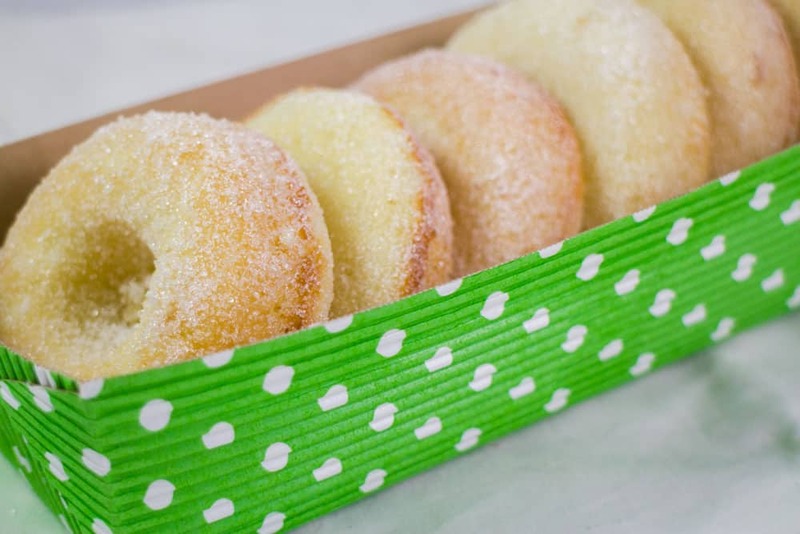 Donuts are a fun and yummy option for a rustic, country-style reception. Plus, who doesn’t love donuts! Make sure to let your guests know that these were homemade so that you receive the proper credit due to you. These look amazing! Perfect for couples who love desserts! For all the couples who want to make something for their guests, this is a great read! Everything looks so yummy!